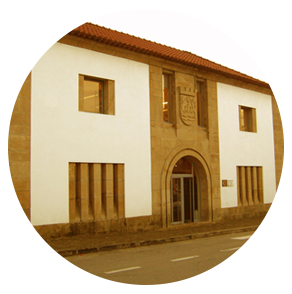 "To promote and improve cultural heritage"
The Melgaço House of Culture is a public service intended for the promotion and improvement of Melgaço's cultural heritage, taking into account the understanding, permanence and construction of the county's identity and the democratization of culture. It is an area for meeting and socializing, open to intervention and the cultural dynamics of the county, and making available to the public a packed agenda with a number of initiatives in order to boost the cultural life of the county. It also houses the Municipal Library. The building was erected in the 1950s to serve as a prison, however, after its closure during the 1980s, it then became the House of Culture. During the FILMES DO HOMEM Festival period this space will be the main area for film projection.